IAQ 9000 is a low-odor, waterproofing coating that is specially formulated to stop water from penetrating through a variety of interior and exterior surfaces including above or below grade masonry walls, cinder and concrete blocks, stucco, brick, retaining walls, basements, and foundations. This latex based formula stops 10psi of water pressure (greater than a wall of water 22 feet high) and helps reduce radon gas penetration. 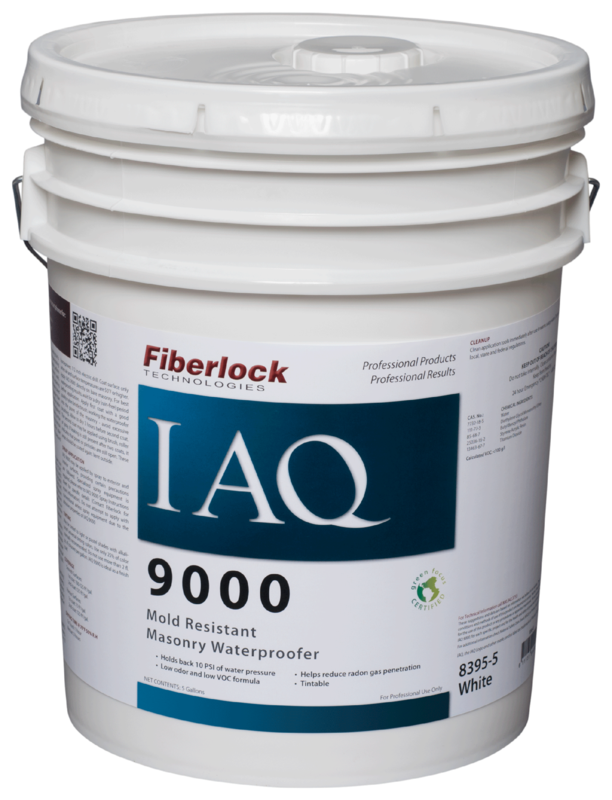 IAQ 9000 contains a fungistatic agent to resist mold growth on the dry coating surface. This fast-drying formula may be applied easily with a brush and/or roller on dry surfaces and cleans up easily with soap and water.